Tucked away in Texas Hill Country, nestled among the hills in our own backyard, there are castles to be found. These aren’t the enormous kingdom-defending forts our European counterparts built during the Middle Ages, but smaller variations more befitting of their Hill Country setting. What if I told you such majestic structures can be found within a 90 minute drive of Austin? 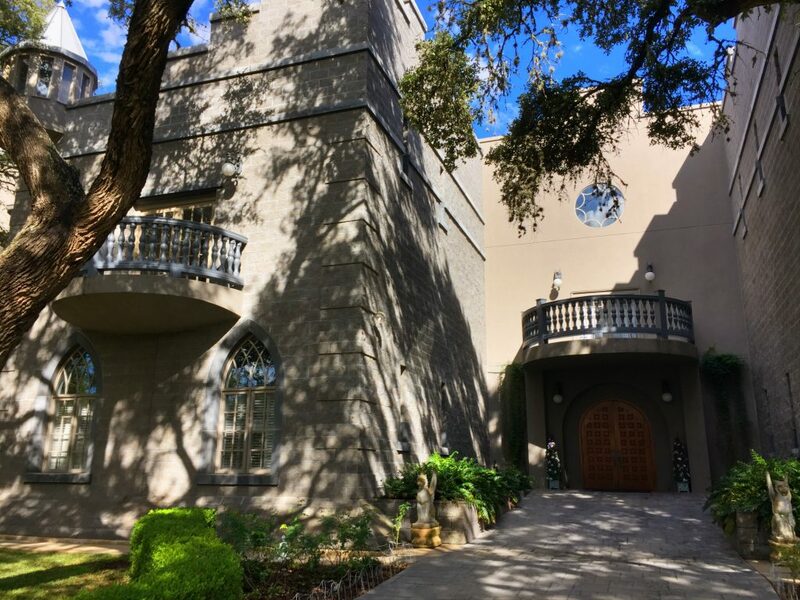 Yes, there are some relatively well known castle-like structures within the Austin area, buildings like Pemberton Castle and the Texas Military Institute Castle. But you don’t get the castle feeling until the building is set against a dramatic landscape, something you might see amongst the rolling hills of England or Scotland. Certain parts of the Texas Hill Country mimic European landscapes. 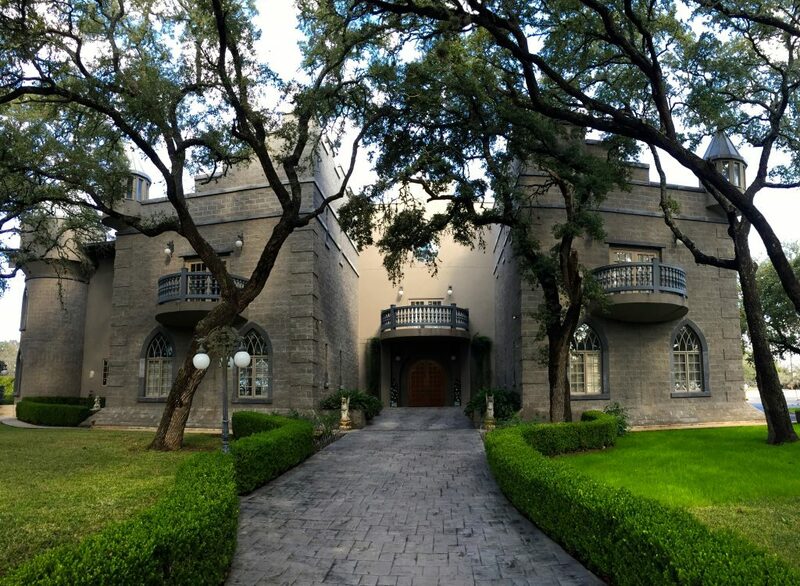 As you round a corner off Texas Park Road 4 South just past Longhorn Cavern State Park near Marble Falls, and you first set eyes on Falkenstein Castle perched atop a hill, you get a sense of being transported back in time. 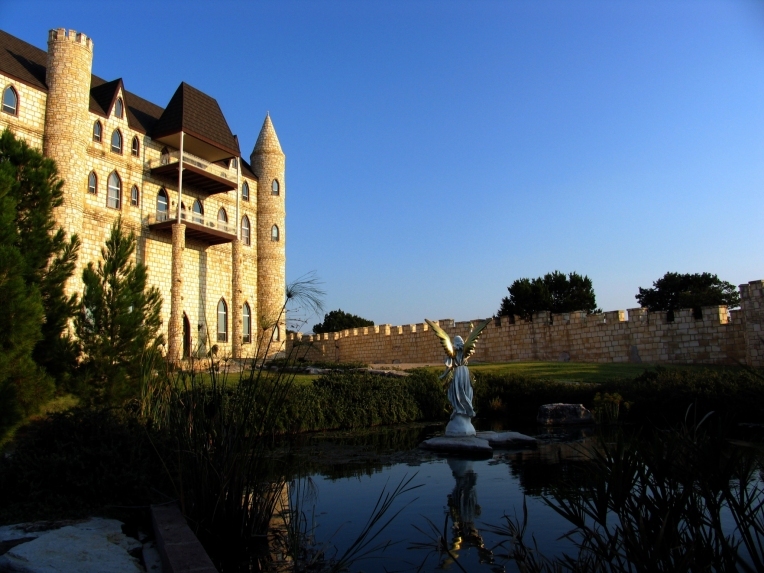 Falkenstein Castle was built in 1996 by Texas developer Terry Young and his wife Kim. The idea was born from a trip to Germany the year before, when the couple visited one of the most famous castles ever created, Castle Neuschwanstein. This same castle served as the inspiration for the fairytale castle at Disney World. On their fateful trip, Terry Young and his wife were touring Castle Neuschwanstein and noticed some of the original architectural drawings looked quite different from the completed project. Upon inquiring, they learned of a secret project that was being considered once Neuschwanstein was complete. This second project was set to be more spectacular than the original castle in every way. Unfortunately, due to a king’s untimely death, the secret design was never acted upon. However, the same architectural drawings ended up being the foundation for what is now known as Falkenstein Castle, a Hill Country castle with Bavarian DNA. Falkenstein is still considered a private residence, but it can be rented out for weddings or even television and film projects. The gates are typically shut, so if you want to visit be sure to set up an appointment beforehand. 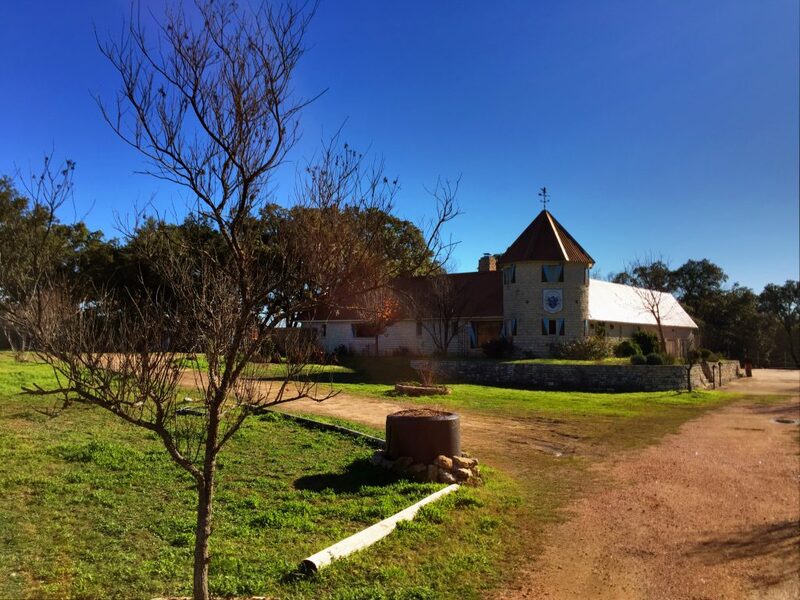 About 20 miles east of Falkenstein Castle, tucked away in tiny Smythwick, TX, is the Smythwick Castle & Lodge. While not a castle in the traditional sense of the word, Smythwick describes the venue as a “country castle” and somehow the description just fits. The Smythwick property is the smallest of the three featured in this article, but its exterior space covers over 10 acres total. Much of that space is unspoiled Texas Hill Country with waterfalls, ponds and grand Oak trees. Smythwick Castle & Lodge is now mostly used as a wedding space, but the entire property can be rented out via sites like Airbnb. The 5-bedroom space can accommodate up to 10 people. Cooking classes are also offered throughout the year with the option to stay overnight. 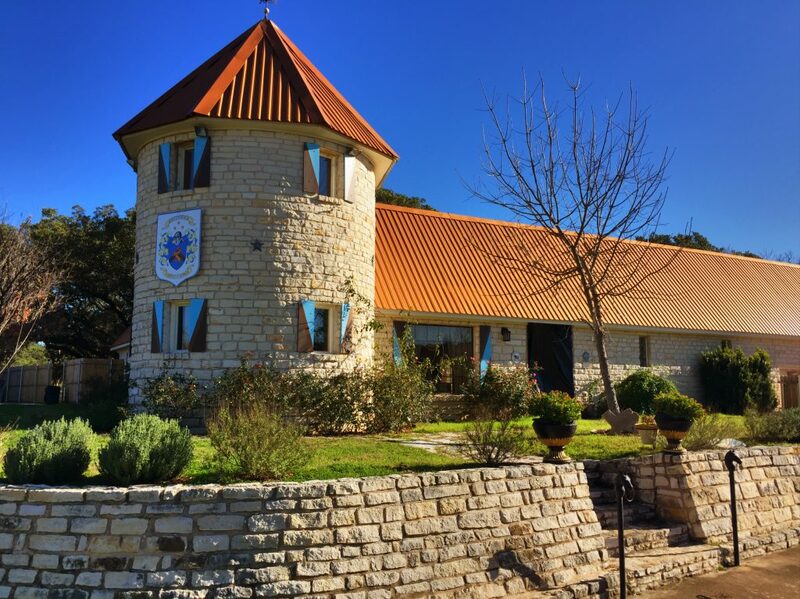 On the opposite side of Hill Country, about an hour south of downtown Austin in nearby New Braunfels, you can find Castle Avalon. Built in 1996, Castle Avalon takes its name from the legends of King Arthur. Avalon was said to be the final resting place for the legendary king, rumored to be the last place of magic before the world of Man. Upon entering the property, you are greeted by a 22-foot tall gatehouse where admittedly it is odd to see a Texas and American flag flying atop castle spires. 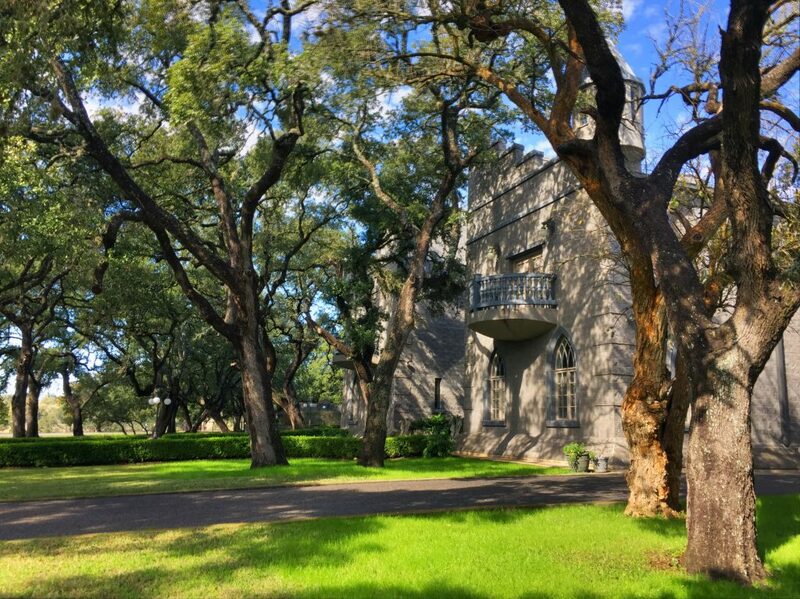 You are then welcomed with a beautiful mile-long stroll through trees before you come up to the castle, which was built on 160 acres of pristine Texas Hill Country. At one point, Castle Avalon was a fully functioning bed and breakfast with a commercial restaurant. Now the castle is mostly used for weddings and other special events. It is the most easily accessible of all the castles mentioned here, with the main office open during normal weekday hours and on Saturday. 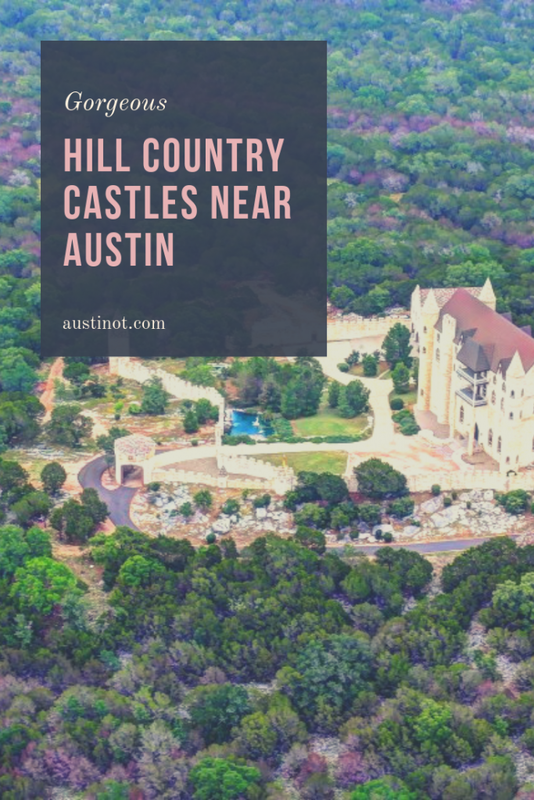 Whether you are planning your next fairytale wedding or just looking for a unique venue to host a special event, these Hill Country castles are a perfect place to start. It’s good to have some Old World enchantment right in Austin’s backyard. 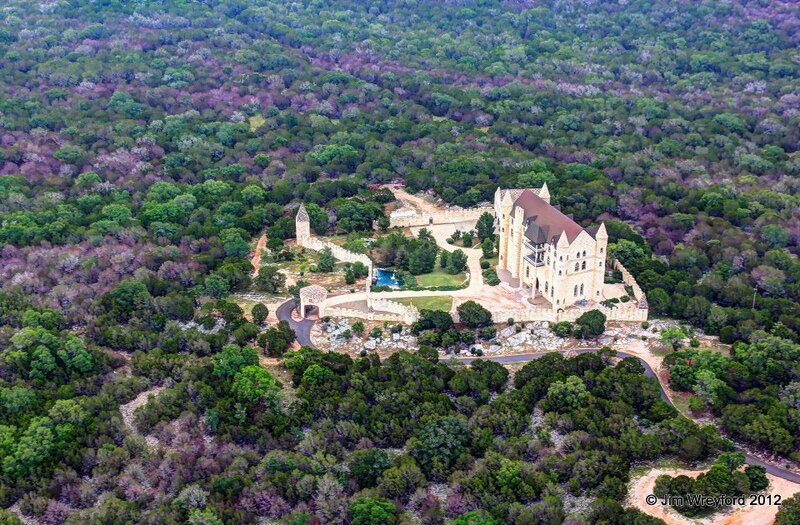 What are your favorite castles or other magnificent structures in Texas Hill Country?